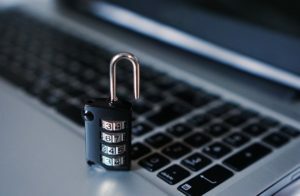 While cyber insurance penetration increased by 14% among UK small and medium sized businesses (SMEs) in 2018, the market is far from saturated and considerable growth should be expected over the coming years, according to a report published by data and analytics firm GlobalData. GlobalData believes that the complexity and continuous evolution of risks faced by those providing cyber insurance make it challenging to fully understand and mitigate against. As a result, it says that partnerships with those outside of insurance – in particular cyber security providers – will be fundamental to providing policyholders with an adequate level of cover. “The main area in which partnerships will prove essential is in the claims environment,” said Daniel Pearce, Insurance Analyst at GlobalData. The report states that the U.S cyber insurance market is far more developed than its European counterpart in terms of size, and could be seen as an indicator of the full potential the European market holds. “A combination of high-profile cyber incidents and stricter data protection regulations have helped drive increased uptake of cyber insurance globally,” added Pearce. “Within the UK, one area that will prove to be a hotbed of growth for the cyber insurance market is SMEs.